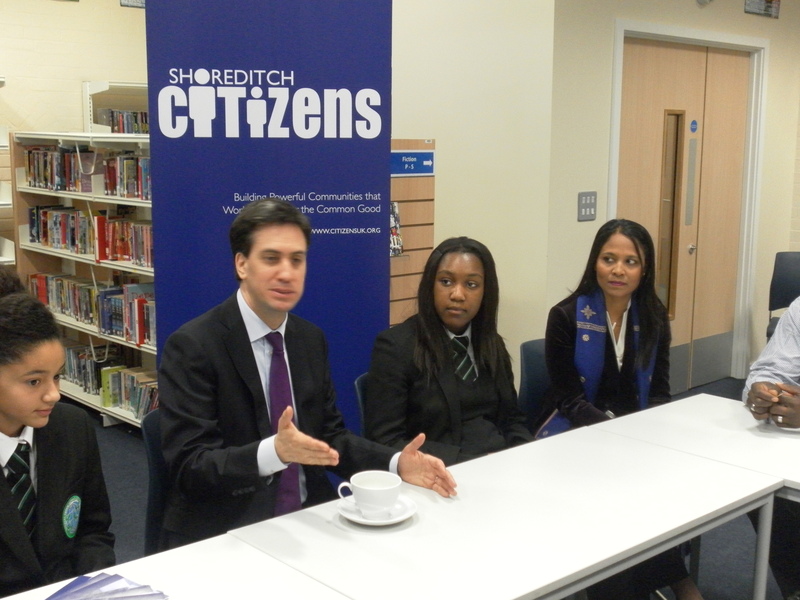 Leader of the Labour Party, Rt Hon Ed Miliband MP and Rushanara Ali MP visited Bethnal Green Academy this morning to talk to teachers, staff and students. They discussed the Shoreditch Citizens’ campaign for a Living Wage, opportunities for young people in Tower Hamlets, and the challenges facing schools and colleges in Tower Hamlets and across the country. This morning, Rushanara Ali MP, spoke to BBC London about the latest child poverty figures released by the End Child Poverty Campaign, which showed that Bethnal Green and Bow has the highest child poverty figures in the country at 51%. Rushanara Ali said: “On the day it was announced that Tower Hamlets is suffering the most severe levels of child poverty in the country, both Ed Miliband and I were highly encouraged by the ideas and enthusiasm of local people working and studying at the Bethnal Green Academy. Well, at least Ed doesn’t look “too ugly” there, at least.